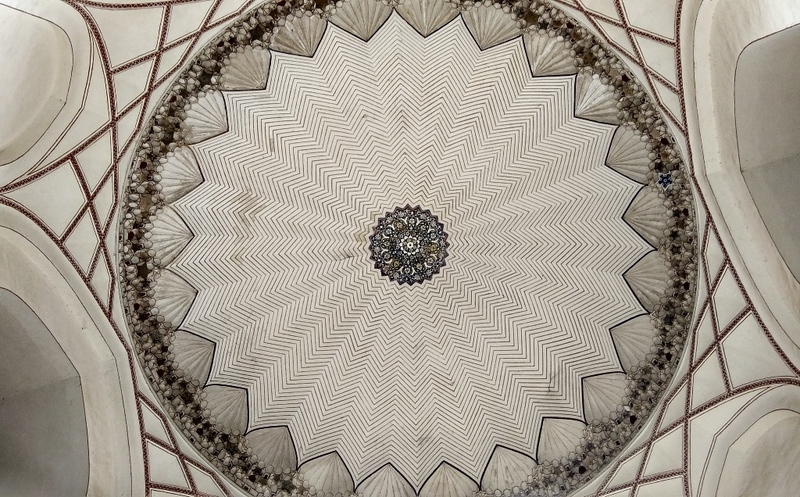 Humayun’s Tomb is situated in east Nizamuddin of New Delhi city near Nizamuddin Dargah. It was declared as UNESCO world heritage site in 1993. It is one of the most visited historical place of New Delhi and India. It is very popular among Indians and as well as foreign travelers. US President Barack Obama preferred Humayun’s Tomb over Taj Mahal during his India visit in November 2010. This is the best time to visit Delhi monuments due to pleasant weather of city. 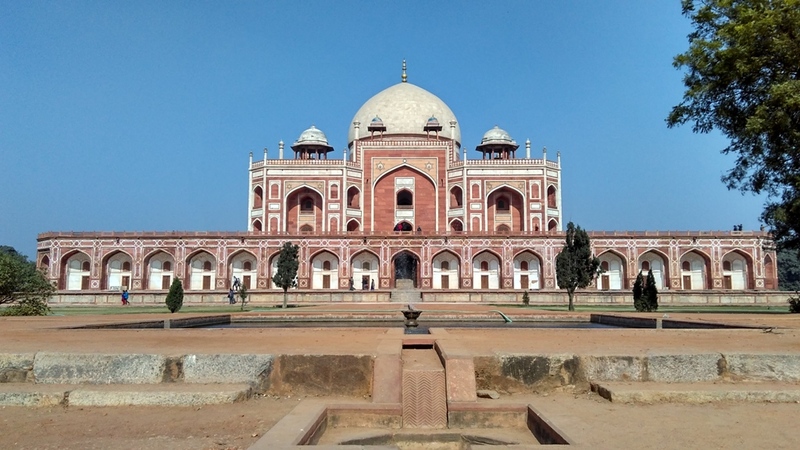 In this post, check Humayun Tomb Timings and tickets price along with closing day of this beautiful monument. 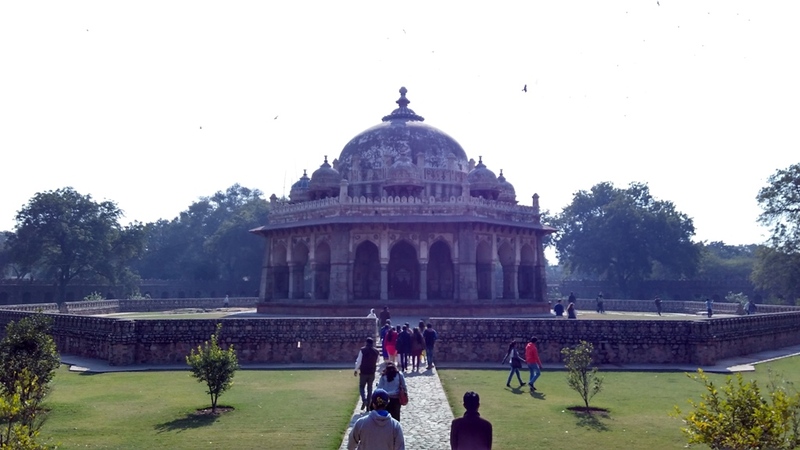 Mughal emperor’s Humayun tomb is present in the complex and it was the first garden tomb of Indian Subcontinent. 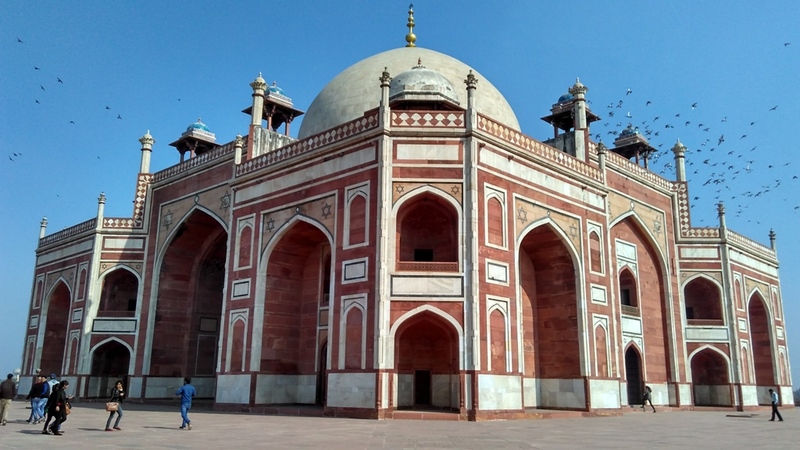 The tomb was constructed by Humayun’s son Akbar and his widowed wife Bega Begum in 1569-70 with the help of Persian architecture Mirak Mirza Ghiyas who designed the tomb. It is based on Mughal architecture. The construction of main tomb took eight years and the area of complex is 30-acre (120,000m2). Red stone was firstly used for this structure at this extensively large scale. Complex has burials of many graves like Bega Begum, Hamida Begum, Dara Shikoh, Emperor Jahandar Shah, Farrukhsiyar, Rafi Ul-Darjat,Rafi Ud-Daulat and Alamgir II. These graves are also present in the complex along with Humayun,s grave. 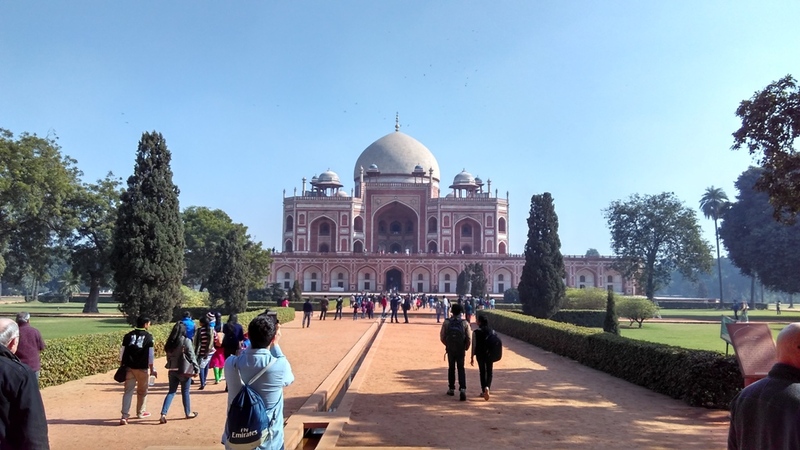 Humayun tomb is placed between the Char bagh garden of Persian style with quadrilateral layout which was first type of garden in whole south asia at that time period. The main complex consists various beautiful fountains, water-ways, pathways, magnificent gardens and trees. The main tomb looks stunning and pictorious from all four sides of the garden. Many amateur and professionals can be seen there playing with their camera gears. We also spotted some newly married couples with camera-mans to capture the beauty of monument in their wedding album beside their other half. 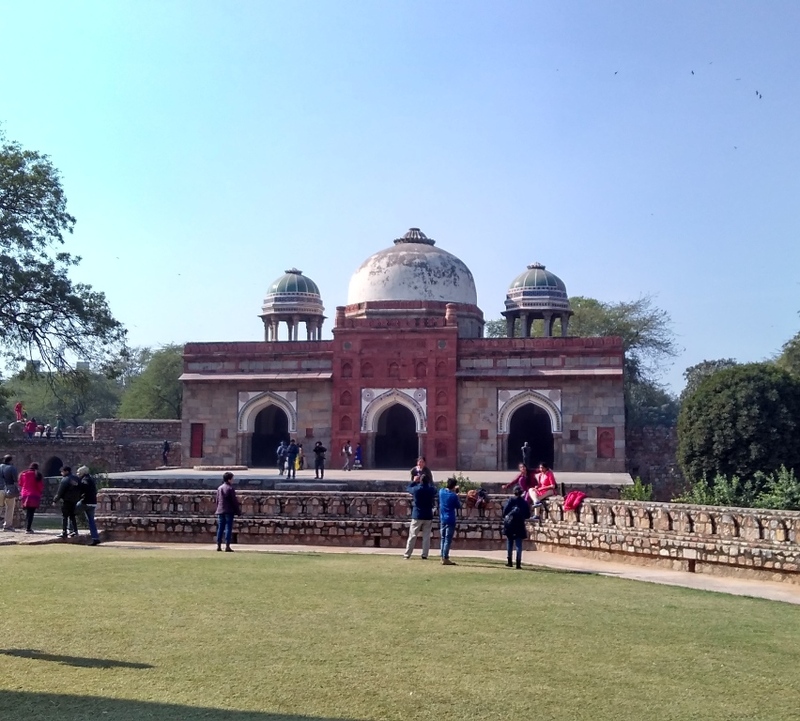 Some other monuments like Tomb and mosque of Isa Khan, Bu Halima’s Tomb and Garden, Afsarwala Tomb and mosque, Araba Sarai, nila gumbad, Chillah Nizamuddin Aulia and Barber’s tomb are also present in the complex of Humayun Tomb. More than 100 graves are buried there, and thats the reason why it is also known as dormitory of Mughals. The monument is located in Nizamuddin which is well connected by various modes of transport and nearest railway station is Hazrat Nizamuddin which is just two KM away and it is one of the main railway station of New Delhi City. Nearest metro station is Jawaharlal Nehru Stadium of violet line which is also just 2 KM away from the tomb. Auto-Rickshaws, cabs and various DTC buses can be availed from the metro station. City buses will drop you on the front of the monument gate. The Indira Gandhi International airport (IGI) is one of the biggest and busiest airport of country and connected with mostly all countries of world and it is 16 KM far from the tomb. New Delhi Railway Station and Old Delhi Railway station are also in close proximity of this monument. Ticket price of Indian national is just 10 Rs, and for foreign national is just 250 (approx. 4 US$ ) rs. There is no charges for personal camera, however, videography charges are 25 Rs. Timings of monument are Sunrise to Sunset. Best time to visit tomb of Humayun is from September to March. Avoid the hot and humid of summer (April to August) specially afternoon time. Entry fee for Indians : 30 Rs. Entry fee for Foreigners: 500 Rs. Humayun Tomb opens from Sunrise to Sunset on all days of the week. 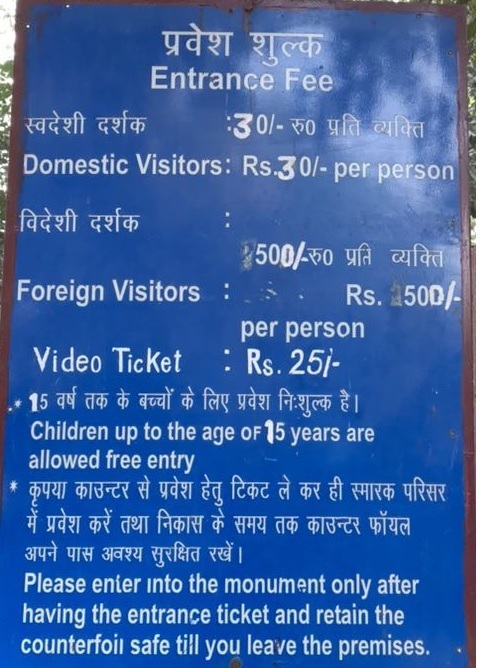 An Indian national has to pay 30 Rs as entry fee of the Monument and foreigners have to pay 500 for visiting the Humayun’s Tomb. Entry ticket is free for Senior Citizen and Children below 15 Years. 2 hours visit is sufficient to visit the compete complex. Is your another site or its single site. Sir, why are not publishing daily articles. Even you can do well and get more traffic.